Great Quality - Clear Sealable Polypropylene Protective Bags. We provide a range of Peel and Seal Bags to protect small or larger items from dust and dirt. 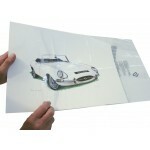 These clear plastic bags are ideal for T Shirts and Prints. Or indeed anything else that needs protecting against dust, or to stop your products becoming soiled in any way prior to arriving with your customers.